After nearly a half-century embargo, traveling to Cuba from the United States is now possible. Given the country is about to start seeing an influx of tourism and development, the novelty to see Cuba as it once was (while you still can) makes the demand and interest to travel there higher than ever before. Want to be one of the first to head to Cuba and experience a piece of history and culture? We’re here to help! Since booking hotels and activities can be frustrating (or impossible) to do online, we recommend using one of these Cuba travel services. Thinking of making the trek to this Spanish-speaking nation? You have a few options to choose from that can help take care of the on the ground logistics for you. From full-service packages to a la carte tours. Because you can’t currently go to Cuba as a tourist, you’ll need to have some sort of local interaction and cultural immersion element (i.e. “People to People”) which is another benefit of booking with one of these services. Not only is it a fun way to see the country, but they can also help you with Visas and other requirements to enter the country (which can be a challenge). We’ve put together a comprehensive list of each, complete with pricing, departure dates and the pros and cons of each. Compare the options below to decide which is the best fit for you and your budget (click to jump to a section or read on to view all three). Ready to go? Olé! Our top pick for best Cuba travel packages is Apple Vacations. The biggest pro about travel packages is everything is included in the price (including round trip charter flight from Miami, accommodations, ground transportation and most meals). That way you don’t have to worry about where you’ll stay, how you’ll pay or what you’ll do once you get to the island. Plus, your visa is included in the price and they have built-in cultural activities like Salsa lessons and art galleries that qualify you for the requirements to gain entrance to the island. You’ll even have a pre-trip orientation and an expert guide with you to help translate and answer questions. Apple Vacations currently offers 3 different travel packages to Cuba. There is a 5-night Havana Highlights option, a 5-night Colors of Cuba in Havana and Cienfuegos 4-night or Varadero Getaway package. Looking for a little big longer stay in Cuba? 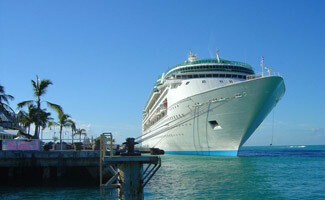 Globus offers 3 tour packages that range from 9 to 13 day stays departing from Miami. (Note: flights are not included in their packages). Cruises to Cuba are all a unique way to cover more of Cuba’s countryside. You’ll stop at various port cities on your journey and venture inland for some additional excursions. Many cruise companies have gotten “on board” the travel to Cuba bandwagon so we’ve reviewed some of the top ships to sail on your Cuban adventure. Like travel packages, your visa and meals are usually included with the price. Another perk of traveling by boat, you don’t have to worry about flights or dealing with airports and, unlike most traditional cruise lines, these are smaller, more specialized vessels with waterfront views and prearranged activities for you. If you’re more of an independent traveler, feeling adventurous, can speak Spanish and are confident in your ability to navigate without internet then booking a la carte is your best bet. With daily non-stop flights to Cuba on several U.S. airlines, you aren’t as restricted by dates or length of trip as you are with tours and cruises. However, by going solo you’re on your own when it comes to getting your visa, finding a place to stay and figuring out what to do and where to eat. You also don’t have the luxury of experts to help along the way. But better for those who prefer to be in control of their schedule, have flexibility and travel solo. A number of carriers now fly non-stop to Cuba from JFK, Charlotte, Miami and Ft. Lauderdale. Why flying you’ll need to get a Cuba-ready stamp on your boarding pass at the gate (after showing your Visa) and plan to arrive 3 hours ahead of your departure. 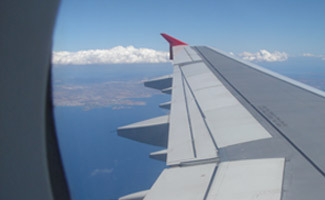 To find the best fares and compare pricing for all airlines from your departure city and exact dates check out Cheapair.com. Put away your hotel rewards cards, because there are no American hotel chains on the island, and very few hotels in general. Among the hotels that do exist today, they are expensive with few amenities and get booked up quickly by other tourists, including those from Canada and Europe. 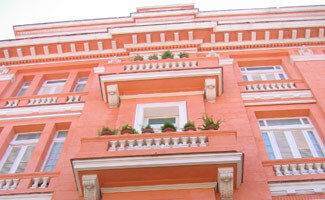 Your best bet and the most common place to stay is in a “casa particulares” meaning someone’s home. Thanks to Airbnb, which signed an agreement with the country, you can book an affordable, privately-owned home for a fraction of the price of a traditional hotel. Plus, it helps you get better immersed in the culture by “living” with locals and helping you meet one of the “people to people” requirements to obtain a visa. No matter where you stay, plan on taking cash to pay for everything since U.S. credit cards are rarely accepted. Just because you didn’t book a full-service package doesn’t mean you can’t get a guided tour of the island. Intrepid offers a variety of sightseeing packages that start for less than $1,000. There are a variety of tours to choose from. Tours can even last up to 22 days if you have the time! Depending on your pick, some of your hotel arrangements are taken care of, so it’s one less thing to worry about. If you don’t have a tour, then you’re on your own for transportation. Taxis can get you from the airport to city centers, but be careful, they might try to charge extra if you are an American. Car rentals are now available so most of the cars are new and reliable, unlike those charming vintage cars you see in photos. You can also try taking public transpiration including the high-speed Tren Francés rail from Havana to Santiago which is safe and comfortable. The rail network runs the length of the island, linking most major cities and towns, and can give you a local taste of Cuba. Walking is always a last resort, but roads are not in the best conditions either. Ready to Pack Your Bags For Cuba? No matter how you get to Cuba, don’t think you can just go plop down on a beach somewhere and sip a boat drink. Traveling to Cuba is more than a vacation –it’s an experience. And all tours there involve a “people to people” interaction to enhance your cultural experience (unless you go for one of the other 11 reasons). Whether it be teaching, volunteering or sharing information with the Cuban people. You’ll need to pack an open mind along with your sunglasses. Learn more about going to Cuba in our Americans traveling to Cuba article. Finally, don’t forget to check any weather alerts or travel advisories ahead of time. 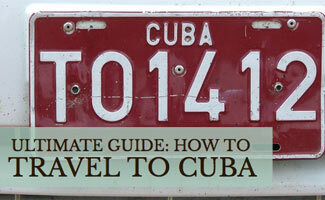 The Department of State’s website is a good resource to check in preparation for traveling to Cuba. Ever been to Cuba? Thinking about going? Let us know your tips, advice and experiences! Great article Sadie! You give feedback on just about all the questions we could think of. We are looking to visit Cuba this year or next and both Apple Vacations and Intrepid look like attractive options. I’ve traveled with Intrepid before (to Thailand) and had a great experience. Additionally, their Cuba travel page has great reviews (4.8/5 from 35 reviewers at time of this comment). I can’t find much traveler feedback on Apple Vacations, however – did you come across any traveler reviews during your research? If anyone has traveled with AppleVacations I would love to hear about your experience!